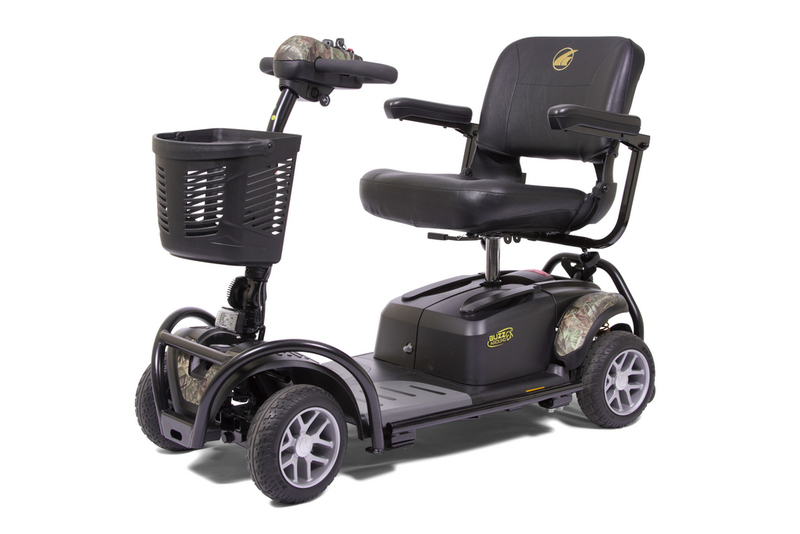 Conversion Kit Available for the Buzzaround EX & LX only. 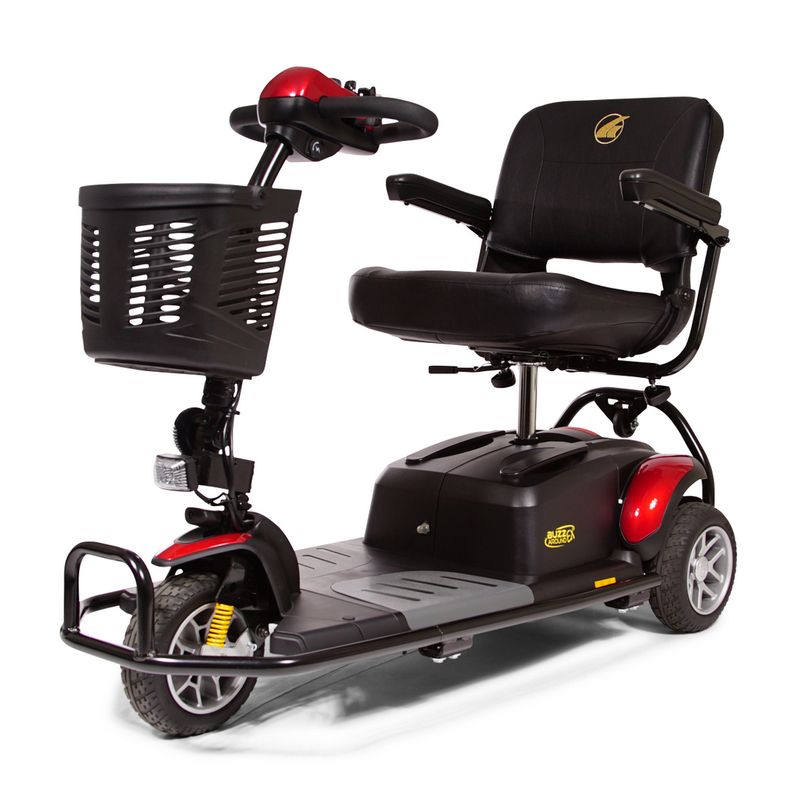 Available as a two-piece add on kit or able to be delivered pre-installed. 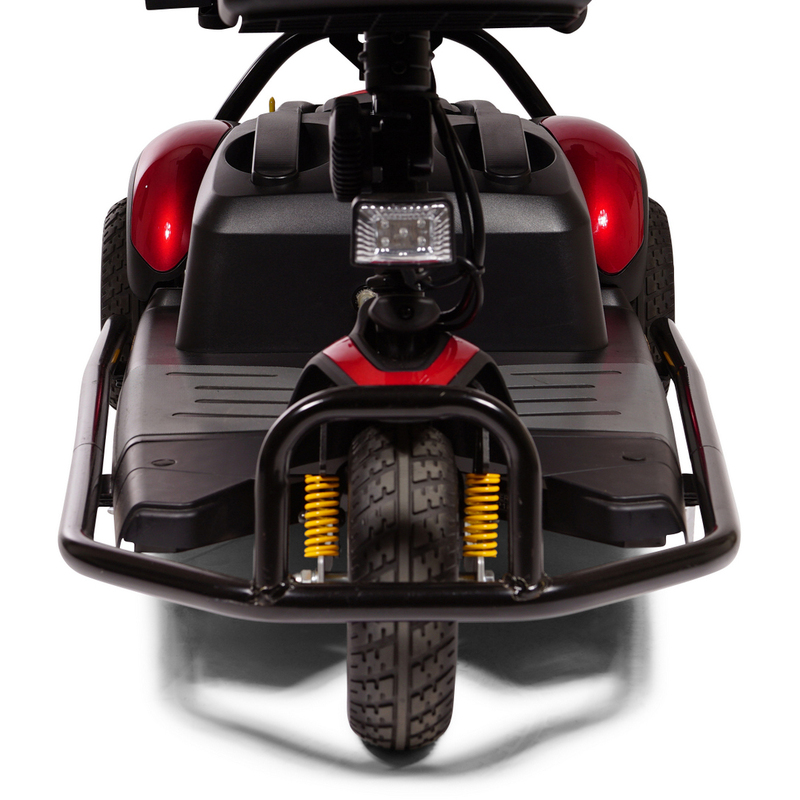 Front Bumper and Side Rails Protect the scooter completely from impacts. 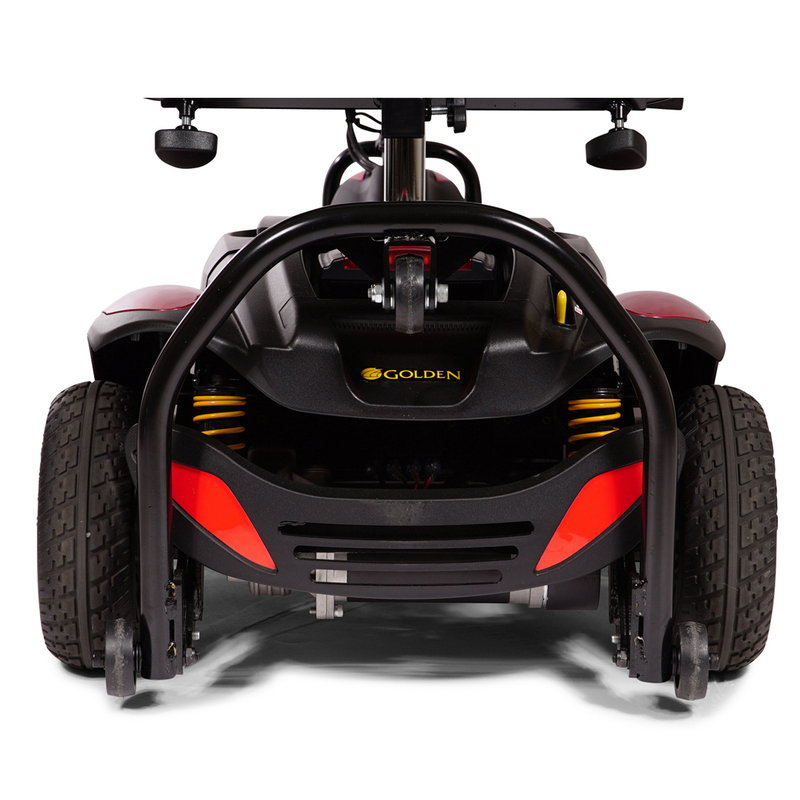 Large Rear Bumper Offers added protection from mishaps. 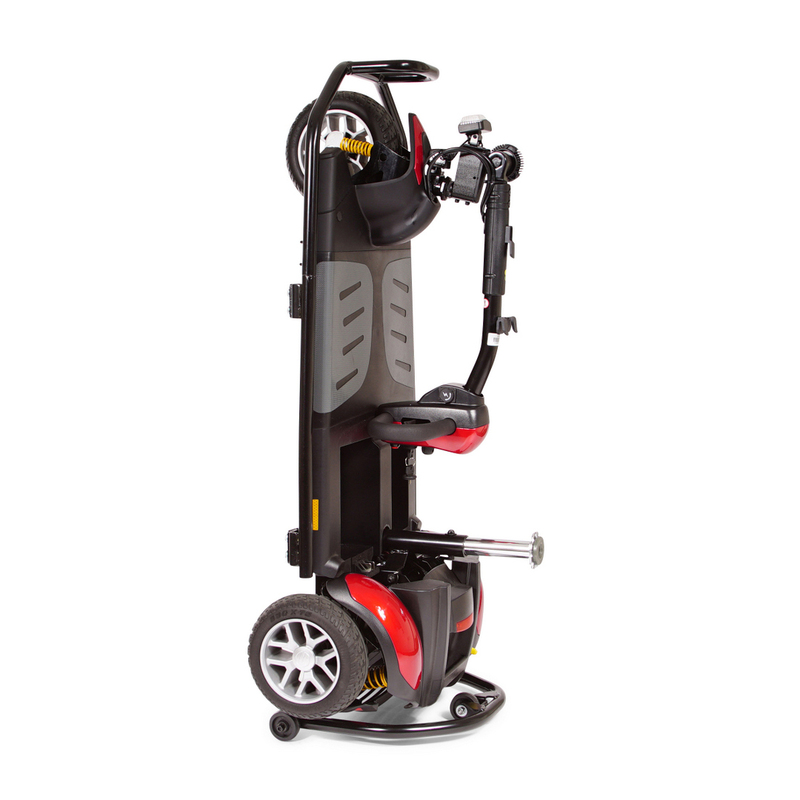 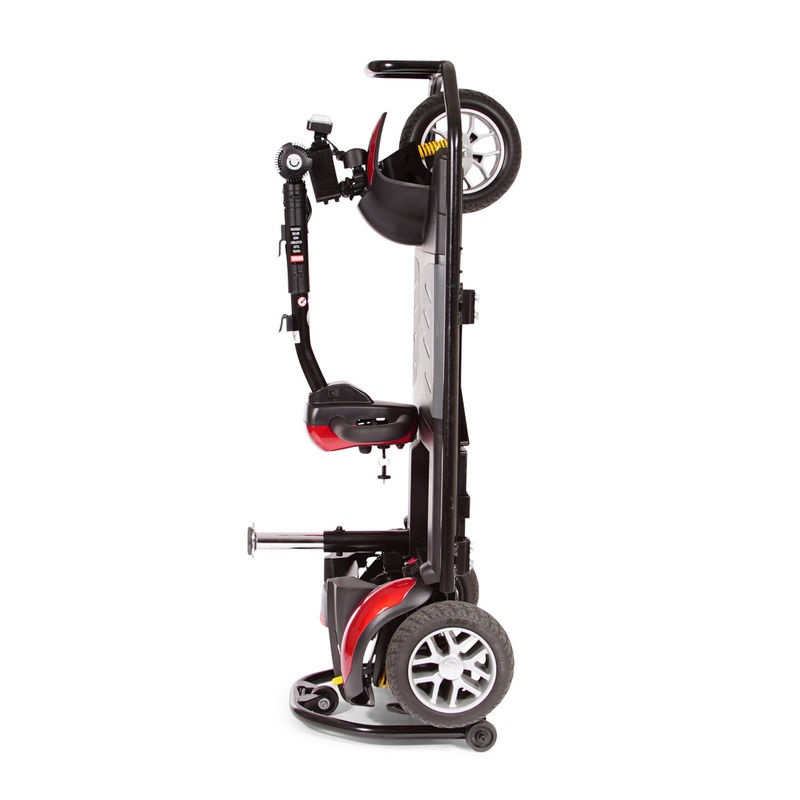 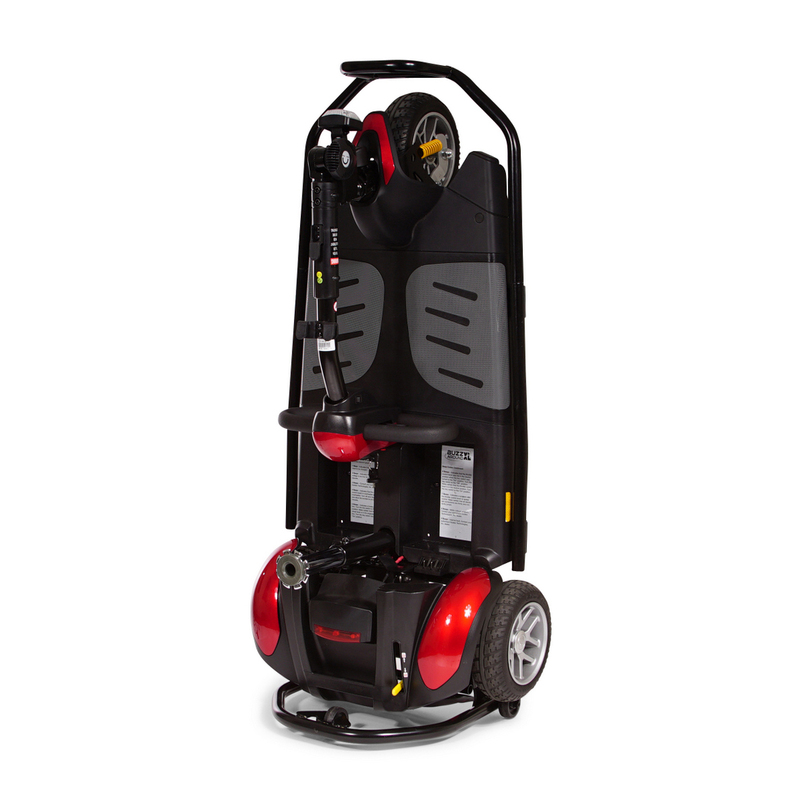 The caster wheels offer ease of storage by allowing the scooter to be rolled into place while standing vertically. 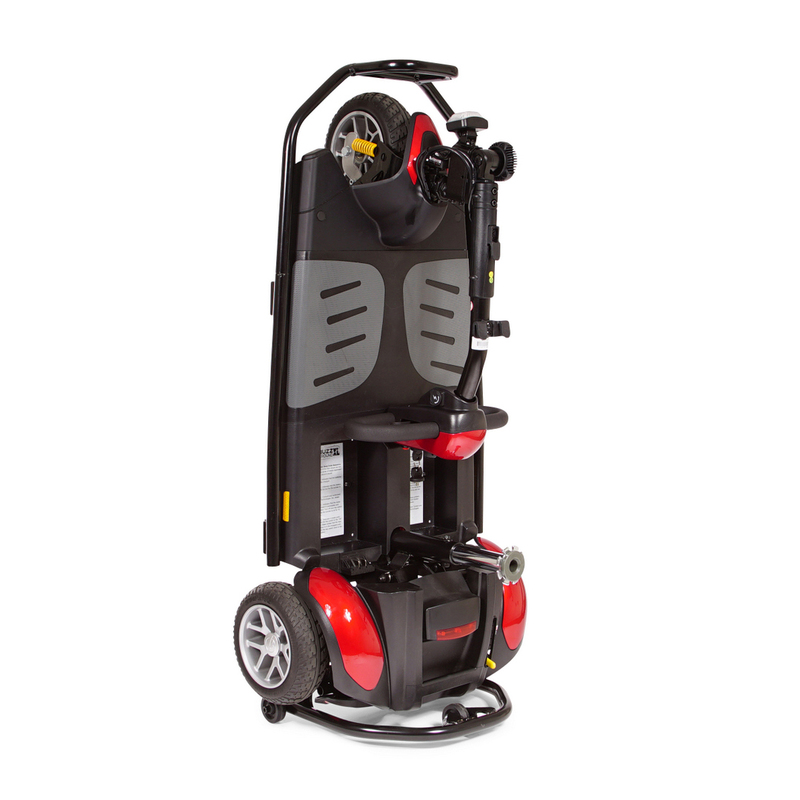 Offers vertical storage with a compact footprint of 22 inches wide by 23 inches deep.